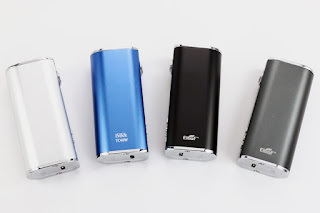 iStick TC40W has the same appearance to the original 20W, what’s new is it has a temperature control system, which is a revolution for Eleaf iStick. iStick TC40W is a compact mod which equipped with an internal 2600 mAh battery. Many vapers may have troubles with the charging problems, they can’t both vaping and charging at the same time, but iStick TC40W has completely solved this problem for you! It featured a micro USB charging cable, so that you can enjoy your vaping time while it’s being charged.